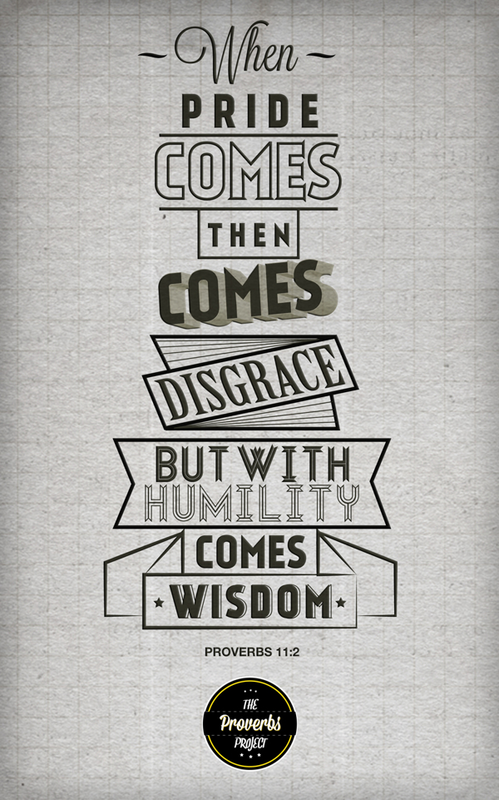 I struggle with pride/lack of humility. There. I said it. And not to call you out, but you probably struggle with pride too. The thing about pride is that it's at the root of all sin. Every time we sin, we are telling God that we know better than him. How preposterous, right?! But we all do it. We may not have that conscious thought, but it's there somewhere.